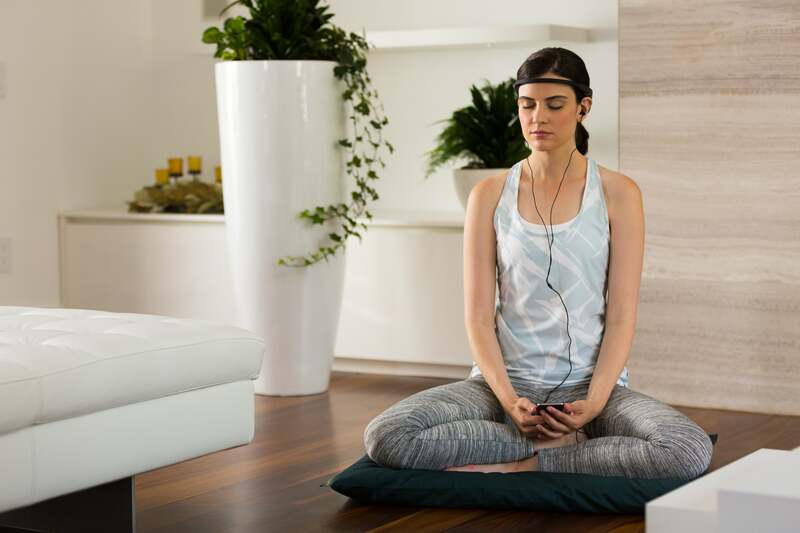 Who knew that meditation—an activity that’s supposed to help us destress from our hectic, always connected lives—can be enhanced by factoring in even more technology? 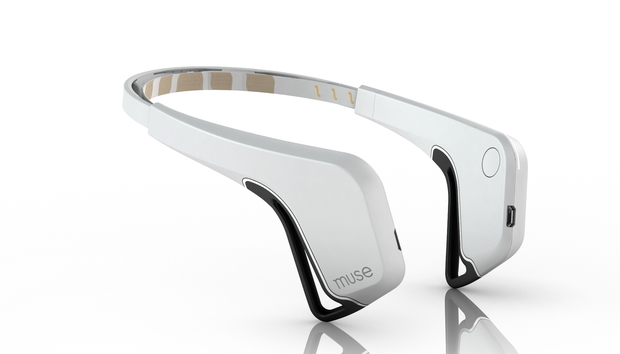 The Muse is a sensor-equipped headband that reads your brain activity and helps to guide you into a deeper meditative state when paired with a smartphone app. Yep, a wearable mind-reading headband that somehow makes you feel more relaxed. I demoed the Muse at a South by Southwest showcase party for startups. It was loud, packed with people, and swelteringly hot—basically the perfect place to try a new meditation technique. First I had to fasten the headband on properly; the sensors have to make contact with skin, so I had some hair maneuvering to do. Then I donned a pair of giant canned headphones to help me hear the app’s cues better (spoiler alert: it didn’t work too well), and the Muse guided me through a quick calibration process. It first asked me to relax, followed by a request for me to think intensely and make lists in my mind—as in, lists of U.S. historical figures and different languages—so that it could understand what my brain patterns look like when my mind is active and calm. I then selected a calming soundscape to listen to during my two-minute trial. I went with rainforest sounds. A nice quiet room like this would probably work much better. And then… I meditated. Or tried to. I sat on a chair in the middle of a big party—close to a bar—with my eyes closed and made a gallant attempt at relaxation. I cheated a couple of times during my session, when clinking glasses and laughter jarred me back to reality. Muse tried to pull me back in by increasing the volume of those rainforest sounds, and then automatically lowered them once I got back into the zone. The app tracks activity level throughout each session, so I got a breakdown of when I was the calmest and when my mind would start to wander. The app even knew when I opened my eyes, and that’s why the volume got louder—the headband will trigger the app to intensify the sound when it senses an increase in brain activity. According to the app, I was at a roughly 80 percent level of restfulness throughout my session, which I find hard to believe considering my surroundings. 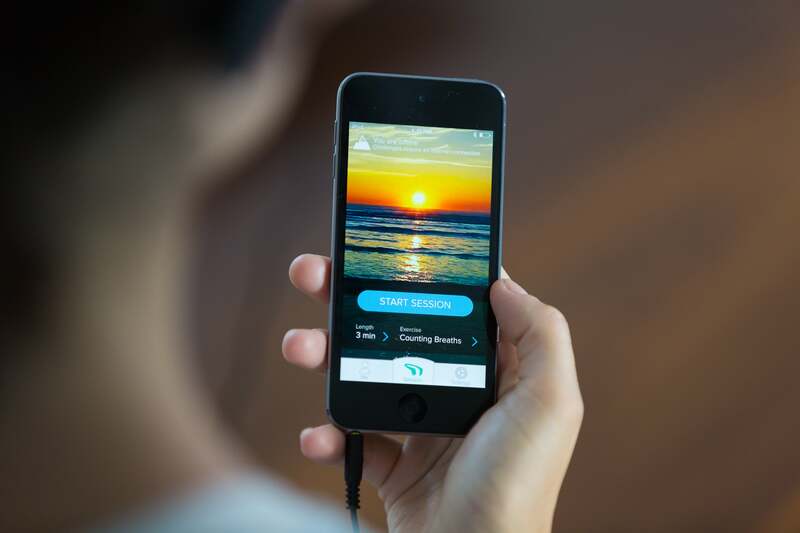 The app has different meditation exercises to try, and the headband tells the app to increase the volume if your mind starts to wander. I’m not a meditator, but I could see the Muse system being a helpful tool for people who do mediate regularly. Maybe just avoid testing it out in a giant crowd. The Muse is available now for $299.